Predicting a quarterback's NFL success is never easy. A total of 42 quarterbacks have been drafted in the first two rounds of the NFL draft from 2004 through 2016. Here's a look at who they are and how they've done. NFL: Manning refused to play in San Diego, forced a trade to the Giants and beat the 18-0 Patriots in Super Bowl XLII in 2008. He then beat the Patriots in Super Bowl XLVI in 2012 as he grew into a truly elite quarterback. He has thrown 320 career TDs but has led the NFL in interceptions three times, too. In 2016, Manning threw for 4,027 yards, 26 TDs and 16 INTs. NFL: Rivers was dealt to San Diego as part of the Manning trade. He hasn't had quite the run of success that Manning has had in New York, but he has been to the postseason five times. Rivers has thrown for more than 4,000 yards in eight of the past nine seasons. NFL: A few off-field discretions aside, Roethlisberger has become an elite quarterback and proven to be one of the toughest in the league. He's also 2-1 in Super Bowls. NFL: Losman with 10-23 as a starter in five years in Buffalo. He has 33 career touchdown passes and 34 career interceptions. He did happen to win the inaugural UFL championship with Las Vegas in 2009, then signed with Oakland. He last played in the NFL in 2011 with the Dolphins. NFL: Smith took over the starting role in his rookie season but struggling, throwing only one touchdown to 11 interceptions in nine games. Smith has seen a vast improvement since then, leading the 49ers to the NFC Championship Game in 2012. He lost his job to breakout star Colin Kaepernick after suffering a concussion, then was traded to the Chiefs, where he has thrown for 13,566 yards, 76 touchdowns and 28 interceptions in four seasons. NFL: Considered a top QB in the 2005 draft, Rodgers plummeted down the board and was continually shown in the green room on television. 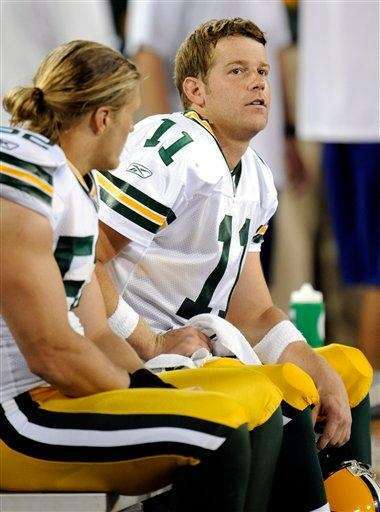 He then became Brett Favre’s backup, and followed that up by winning Super Bowl XLV in his third year as a starter. NFL: Despite being a starter for the first several years of his career with the Redskins and then with the Raiders, Campbell has become a backup. He played six games with the Bears in 2012 after starter Jay Cutler when down with a couple of separate injuries but threw for only 265 yards, two TDs and two INTs. Campbell signed with the Browns before the 2013 season and went 1-7 in his eight starts. He threw 19 passes for the Bengals in 2014, his last NFL action. NFL: It's been almost all downhill for Young since beating Reggie Bush and USC in the BCS title game in 2005. Young had a few solid years in Tennessee before joining joining the Eagles as Michael Vick's backup in 2011. Young didn't live up to his "dream team" statement there throwing four TDs to nine INTs in six games with the Birds. He was signed and released by the Bills and the Packers. NFL: Four years in Arizona, 29 games, 17 starts, 7-10 record, 2-time loser in QB competition, 1 Super Bowl watched from the sidelines. 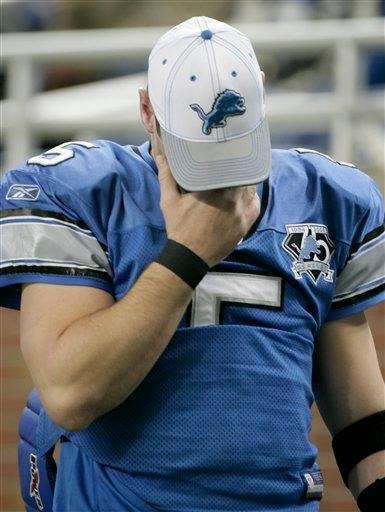 Possibly the biggest QB disappointment other than JaMarcus Russell in the 2000s. When Houston's Matt Schaub went down in Week 11 of the 2011 season, Leinart got another shot. In Week 12, he broke his collarbone and missed the rest of the season. NFL: Cutler has been known as a bit of a hothead throughout his career. After three seasons in Denver, Cutler asked to be traded after hearing that then-Broncos head coach Josh McDaniels tried to trade for quarterback Matt Cassel. 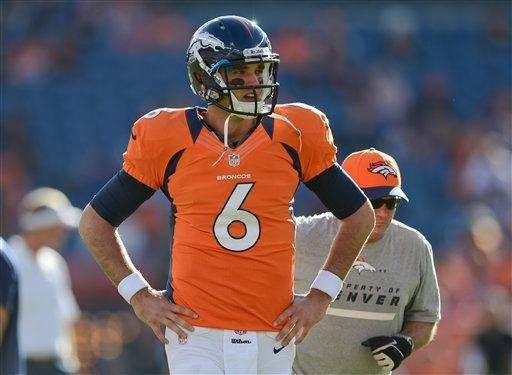 Ask and you shall receive -- the Broncos traded Cutler to the Bears for Kyle Orton. Tim Tebow can attest to who made out on the better end of that deal. 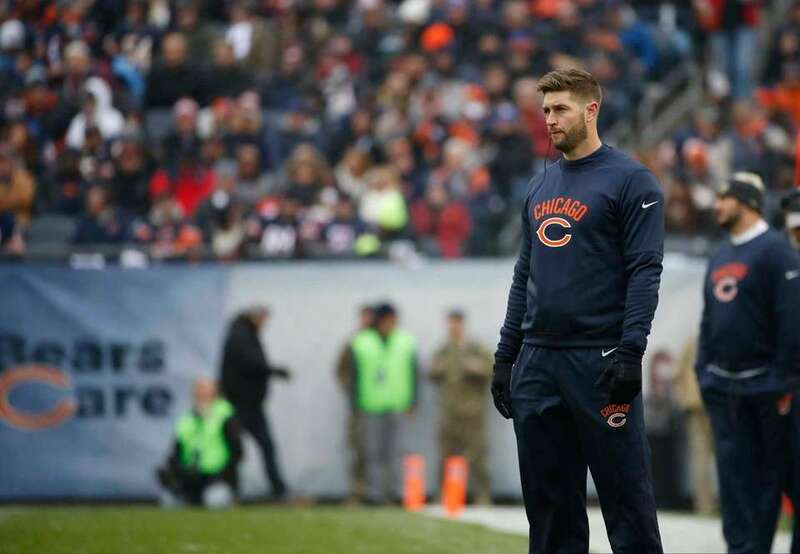 Cutler, despite struggling with injuries, has been a dependable QB, throwing for 32,467 yards and 208 touchdowns in 11 seasons, but he was released in March 2017 and has yet to sign with a team. NFL: The Jets' No. 3 quarterback behind 40-year-old Mark Brunell in 2010, Clemens has never been able to win a QB competition with the Jets, losing out to Chad Pennington and his twice-repaired throwing shoulder in 2007 and rookie Mark Sanchez in 2009. In between, he got Brett Favre'd. 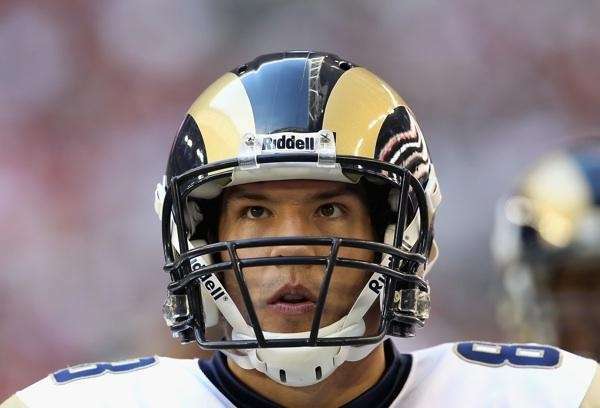 Clemens started three games for the Rams in 2011 and nine games in 2013 in place of an injured Sam Bradford. He has thrown 10 total passes since 2014 as Philip Rivers' backup. 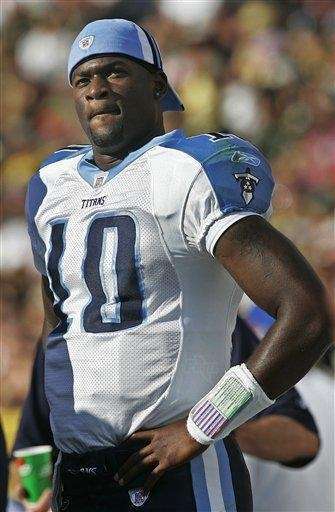 NFL: In 2007, his one year as a legitimate starter, Jackson went 8-4 but only threw nine touchdowns. His lack of development and productivity contributed to Minnesota recruiting Brett Favre in 2009 and 2010. He joined Seattle in 2011, went 7-7 in 14 starts and threw for 3,091 yards. Jackson left for Buffalo in 2012 but didn't take a snap. He joined Seattle in 2013, backing up Russell Wilson and getting some playing time in the Seahawks' Super Bowl XLVIII rout. NFL: In three remarkably unproductive seasons in Oakland, Russell fumbled 25 times and threw 23 interceptions. He was 7-18 as a starter and out of the NFL after 2009. NFL: Quinn had No. 1 overall pick written all over him, but his stock fell after Russell outperformed him and led LSU past Notre Dame in the Sugar Bowl. Quinn got his first real opportunity as a starter in 2009, but in 10 games, he threw for 1,339 yards with eight TDs and seven picks. Quinn didn't play in a game again until 2012 with the Chiefs. Once again he struggled, throwing only two TDs and eight picks in 10 games. Quinn spent time with the Seahawks, Jets and Rams before heading to the broadcast booth. NFL: Andy Reid was all about Kevin Kolb in 2010. But Michael Vick outplayed him in the preseason and went onto become the NFL's comeback player of the year. Kolb became big trade bait after performing well when Vick missed time with injuries. 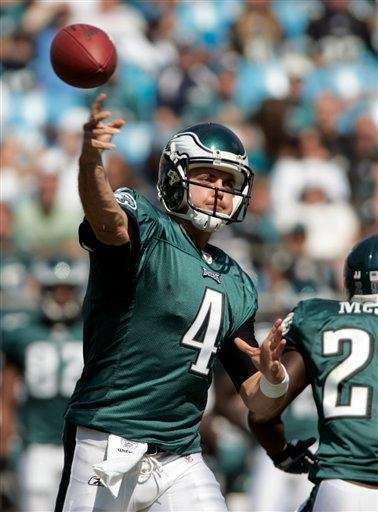 The Eagles traded Kolb to the Cardinals, and he was expected to be the next big thing. In two seasons in Arizona, Kolb couldn't stay on the field, playing in only 15 total games while battling injuries. He suffered a preseason concussion with the Bills in 2013, was placed on IR and retired after the season. NFL: Beck appeared in five games for the Dolphins in 2007, signed with the Ravens in 2009 and spent 2010 on the Redskins’ bench. 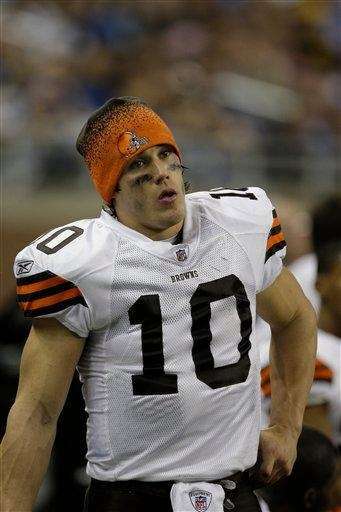 He was supposed to be the starter in 2011, but lost the job to Rex Grossman. Beck went 0-3 in four games when Grossman was out and hasn't played in an NFL game since. NFL: In four seasons with the Lions, Stanton played in 12 games and threw five TDs to nine INTs. He played backup to the Colts' Andrew Luck in 2012 and has been with the Cardinals as Carson Palmer's backup ever since. 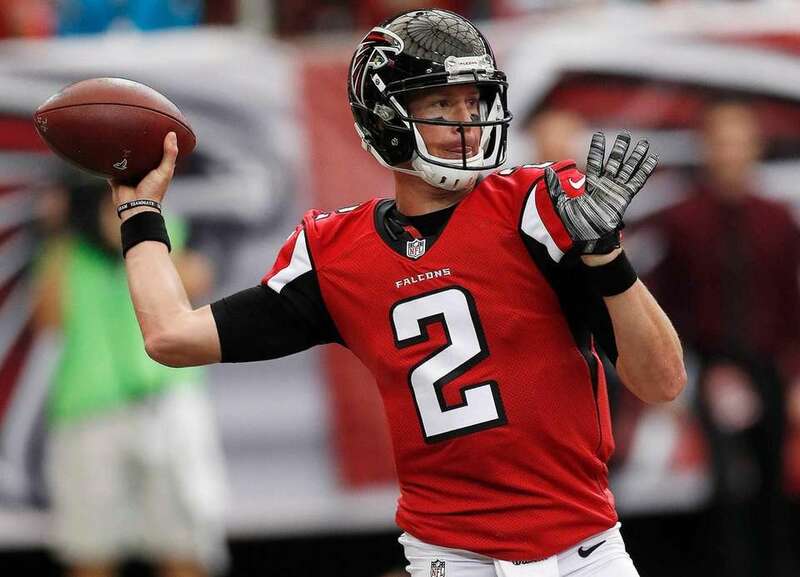 NFL: Has amassed an impressive 85-57 record as a starter in his five seasons with Atlanta, leading the Falcons to an appearance in Super Bowl LI. Ryan has 240 touchdown passes against 114 interceptions. NFL: Started as a rookie and has the led the Ravens to the playoffs in six of his nine seasons, finally earning that elusive ring after beating the San Francisco 49ers in Super Bowl XLVII. NFL: As Aaron Rodgers took the helm as the Packers' franchise quarterback, the team went out and drafted Brohm. He was relegated to the Packers' practice squad before the Bills signed him midseason. In two seasons with the Bills, he played only three games and threw five picks but no TDs. That was the end of his NFL career, but he played a few seasons in the CFL. He's now an assistant coach in the college ranks. 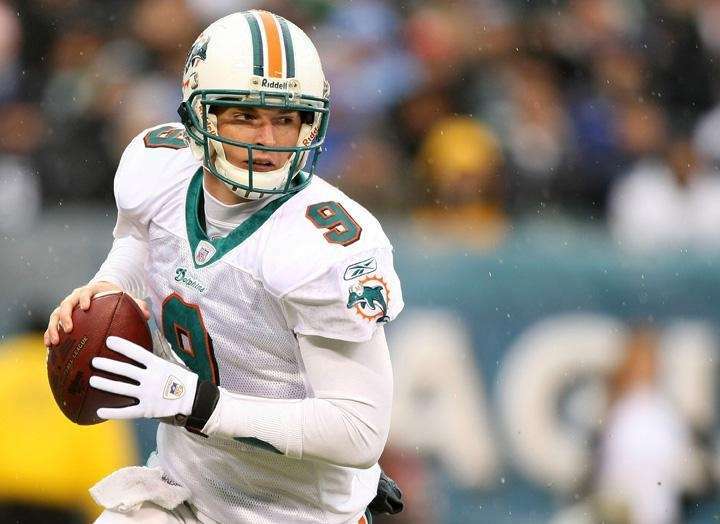 NFL: Henne took over as the Dolphins' starter in 2009 but struggled, throwing 31 picks to 27 TDs combined in 2009 and 2010. 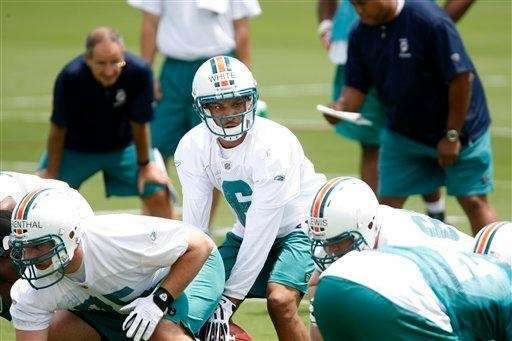 After three straight losses in 2011, the Dolphins handed the reigns over to Matt Moore. Henne signed with the Jaguars in 2012, started 19 games for them from 2012-13, then became Blake Bortles' backup. 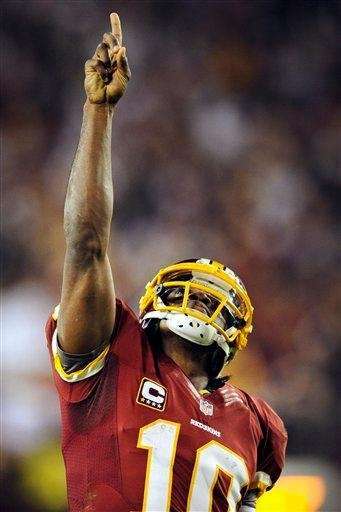 NFL: He showed promises his first two seasons but injuries prevented his growth (missed 19 of 32 games). 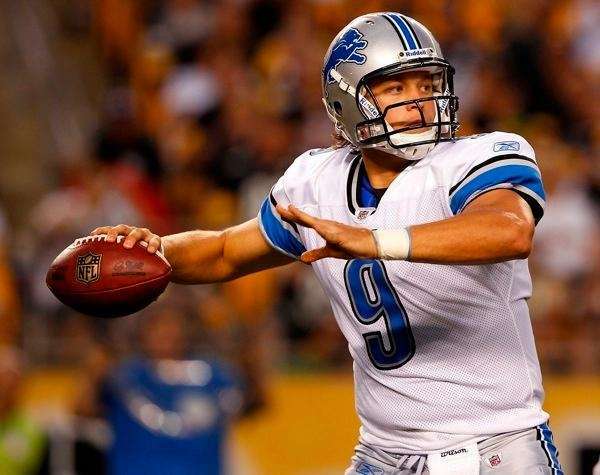 Fully healthy in 2011, Stafford became the fourth quarterback to throw for more than 5,000 yards in a season and led the Lions to the playoffs. He has thrown for at least 4,200 yards in each of the last six seasons. NFL: "The Sanchize" helped lead the Jets to back-to-back AFC Championships in his first two seasons. Despite career highs in yards, touchdowns and completion percentage in 2011 for Sanchez, the Jets failed to reach the postseason. In 2012, Sanchez had to deal with talks of Tim Tebow taking his job as the Jets missed the postseason for a second straight year. 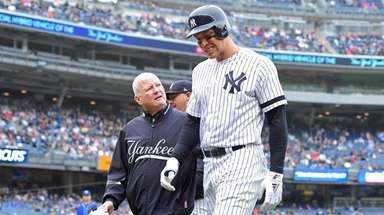 Sanchez tore the labrum in his right shoulder during a 2013 preseason game against the Giants and missed the entire season. 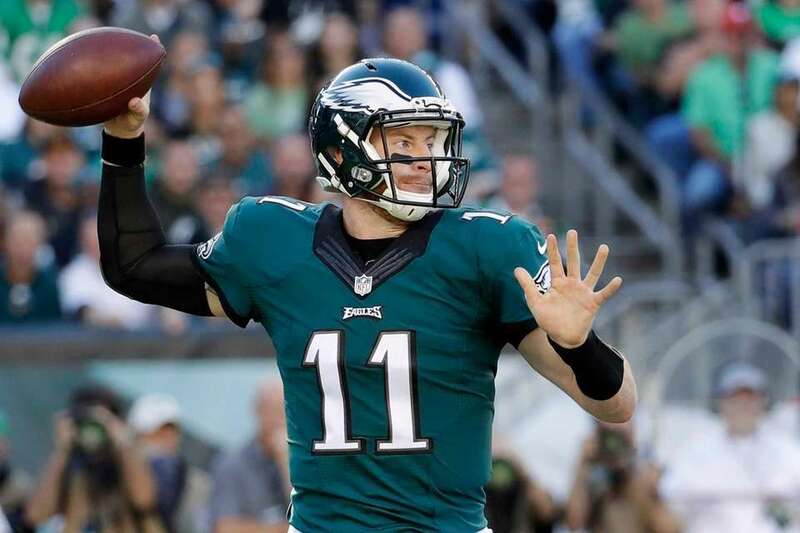 He started 10 games and threw for 3,034 yards with the Eagles from 2014-15, but since then has bounced around the league as a backup for the Broncos, Cowboys and now the Bears. NFL: In his first full season as the Bucs' starter, Freeman threw for 3,451 yards, 25 touchdowns and only six interceptions. Freeman threw for 4,065 yards in 2012 but never was able to duplicate that success. After being benched following an 0-3 start in 2013, Freeman was cut and was signed by the Vikings, where he started one game before suffering a concussion. He finished the season as the team's third-string QB. He last played for the Colts as an emergency QB in 2015. NFL: Despite seeing action in 13 games his rookie year, White only had five pass attempts and 21 rushing attempts. He hasn't set foot in an NFL game since 2009. NFL: Bradford transitioned to the NFL rather quickly and easily, throwing for 3,512 yards and 18 touchdowns against 15 interceptions. He broke Peyton Manning's rookie record for pass attempts (590) and completions (354) en route to winning the NFL's offensive rookie of the year award. 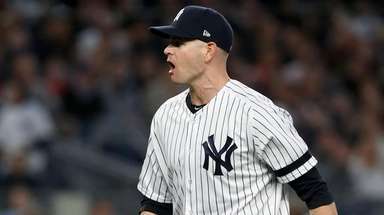 However, he missed six games in 2011 with a high ankle sprain, nine games in 2013 with a knee injury that eventually required surgery, and the entire 2014 season with a torn ACL. He signed with the Eagles in 2015, where he threw for 3,725 yards, 19 TDs and 14 INTs. He was traded to the Vikings in 2016 following Teddy Bridgewater's injury and threw for 3,877 yards, 20 TDs and five INTs in 15 games. NFL: Tebow took over for Kyle Orton in the second half of a Week 5 game against the San Diego Chargers in 2011 and didn't look back.. 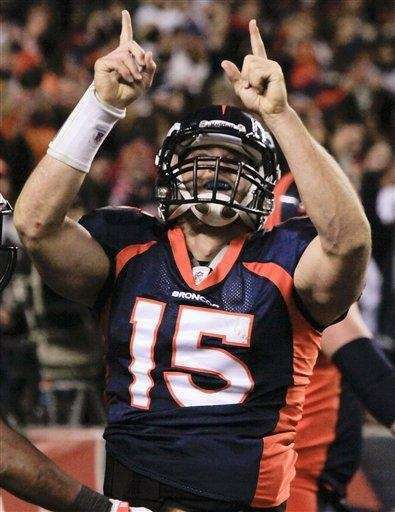 He led the Broncos to a 7-4 record down the stretch and advanced to the AFC divisional playoffs against the Patriots. But that wasn't enough for the Broncos, who traded Tebow to the Jets after signing Peyton Manning. The Tebow media spectacle continued in New York as the Tebow-Mark Sanchez battle began, but Sanchez won out. Tebow was released before the 2013 season and spent time in training camp with the Patriots (2013) and Eagles (2015). 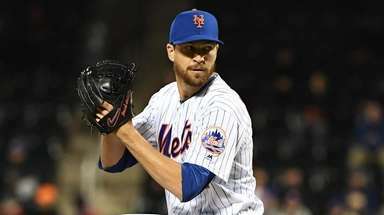 He's now a Mets' minor-leaguer. NFL: The Panthers obviously didn't have a lot of faith in Clausen as they went out and drafted Cam Newton the year after drafting him. 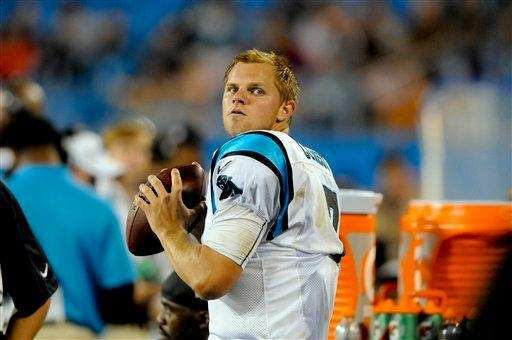 In his rookie season, Clausen threw for 1,558 yards, three touchdowns and nine picks while playing in 13 games. After that, he appeared in just nine games and threw for a combined 962 yards. 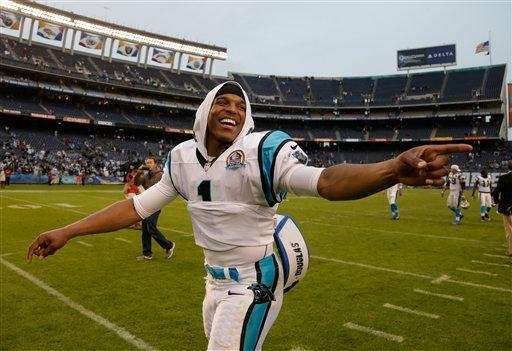 NFL: Newton has lived up to the hype of his No. 1 overall pick status. He was named the AP Offensive Rookie of the Year in 2011 after a historic season where he threw for 4,051 yards and 21 touchdowns and rushed for 706 yards and 14 touchdowns. He has been one of the NFL's most dangerous quarterbacks since entering the league, throwing for 21,772 yards and 136 touchdowns while rushing for 3,566 yards and 48 TDs. He helped lead the Panthers to Super Bowl 50, though they lost to the Broncos. 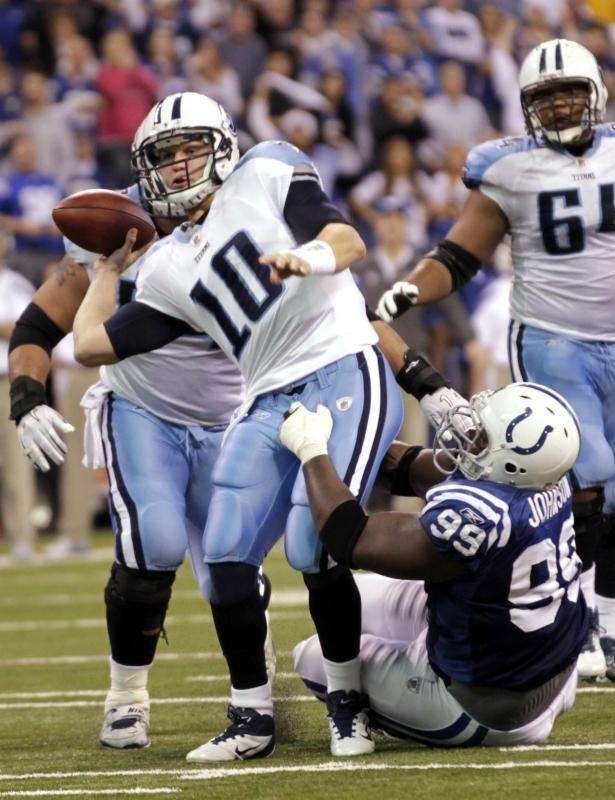 NFL: Locker served as the Titans' backup to Matt Hasselbeck in 2011. He saw action in just five games, completing eight passes for 56 yards and four touchdowns. Locker earned the starting job in 2012, but injuries limited him to 11 games that season and seven in 2013. He retired in 2015 having thrown for 4,967 yards, 27 passing touchdowns and 22 interceptions. NFL: Gabbert was originally thought to be more NFL-ready than Cam Newton, but his erratic play on the field determined otherwise. 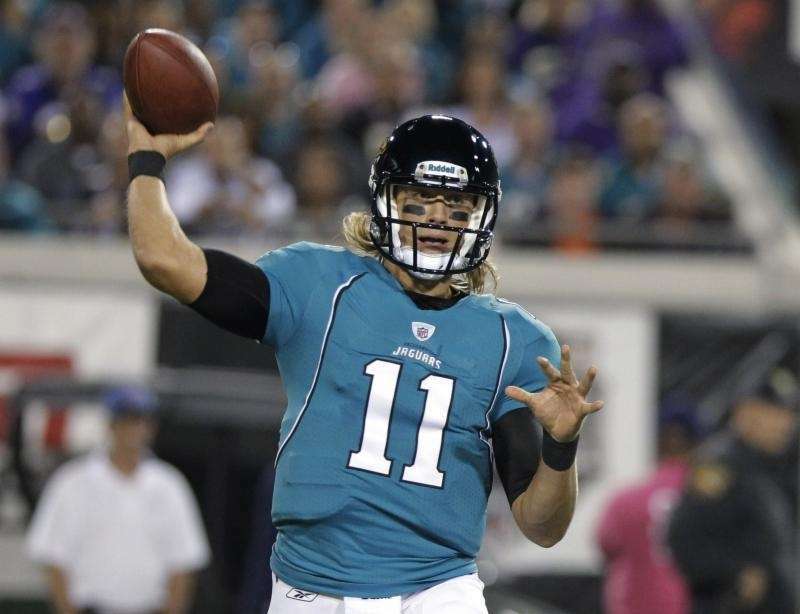 He started 14 games for the Jaguars and had only one more passing touchdown than interceptions (12 TD, 11 INT). The Jaguars only managed 243 total points (tied for fourth worst in the league). Things didn't improve for him in 2012 or 2013 -- he went 1-12 in 13 starts across both seasons. He spent three seasons in San Francisco, throwing for 2,994 yards, 16 touchdowns and 13 interceptions in that timespan. NFL: Ponder took over starting duties for the 3-13 Vikings in mid-October. He had a 1:1 ratio of touchdowns to interceptions (12 each), and was tied for 10th in the league for being sacked 30 times, even though he played in just 11 games. He had a decent 2012 (2,932 yards, 18 TDs, 12 INTs in 16 games), but missed the team's wild card game due to a bruised triceps. He struggled in 2013, throwing for 1,648 yards, seven TDs, nine INTs in nine games as part of a QB carousel with Matt Cassel and Josh Freeman. He last played in 2014. 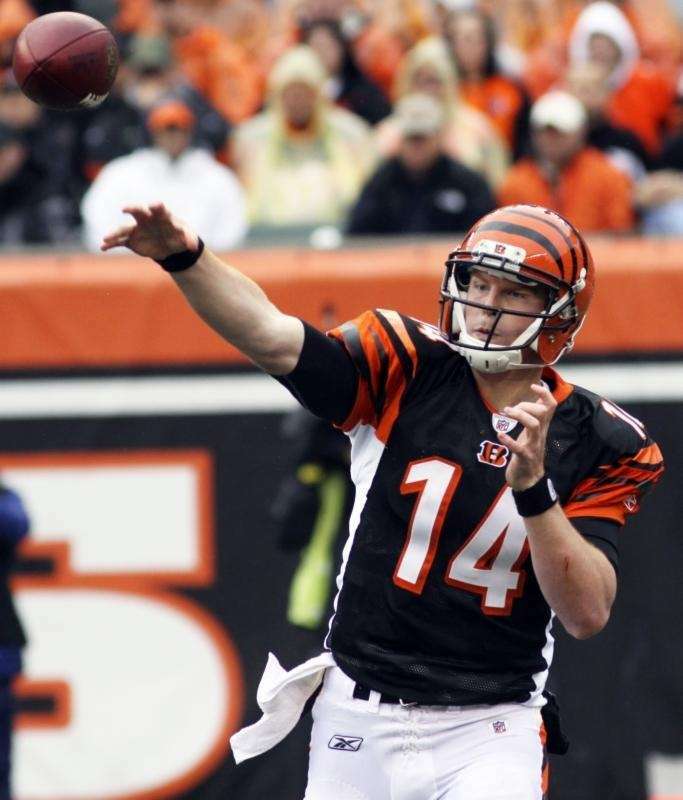 NFL: Dalton earned the starting quarterback job for the Bengals, started every game and took his team the playoffs at 9-7. He became the first quarterback in NFL history drafted in the second round to start all 16 games. He's also the only rookie quarterback to throw for at least 20 touchdowns and win at least eight games in the same season. However, he has yet to win a playoff game in four tries. NFL: The 49ers wanted quarterback depth just in case Alex Smith faltered. While Smith played well to start the 2012 season, a concussion during a Week 9 game against the Rams knocked him out, giving Kaepernick his chance. Kaepernick went 11-for-17 for 117 yards through the air and picked up 66 yards and a touchdown on the ground in an eventual tie. 49ers head coach Jim Harbaugh stuck with the hot hand, and Kaepernick led San Francisco all the way to the Super Bowl. He continued his success in 2013, leading the Niners to the NFC title game. But when Harbaugh left for Michigan in 2015, Kaepernick's game fell off -- he played in just 21 games in the following two seasons, throwing for 3,856 yards and 22 TDs. 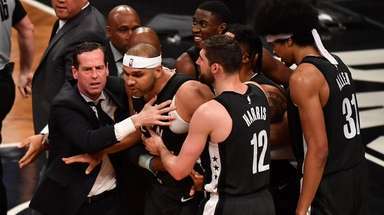 His decision to kneel on the sideline during games in 2016 made him a lightning rod for criticism in and out of the sports world. NFL: Peyton who? After finishing an NFL worst 2-14 in 2011 with Peyton Manning out, Luck came in and led the Colts to an 11-5 record and a playoff appearance. Luck threw for 4,374 yards, breaking Newton's previously set rookie passing yards record. 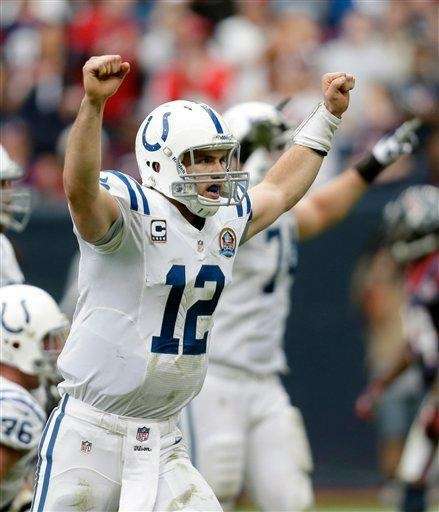 He led the Colts to the AFC South title in 2013 and staged an improbable comeback in the wild card game against the Chiefs, rallying his team from a 38-10 deficit to win, 45-44. He has battled injuries since 2015 but still is considered one of the top young quarterbacks in the NFL. 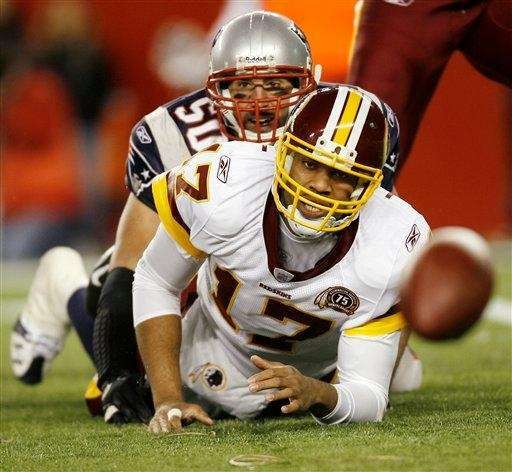 NFL: The Redskins traded up to get their franchise quarterback, and it paid dividends in his first season. RGIII went 9-6 as a starter, including a string of six straight wins to end the season, and led Washington to its first playoff appearance since 2007 before losing to fellow rookie Russell Wilson and the Seahawks. To add insult to injury, Griffin tore his ACL and LCL in his right knee. He came back in time to start the 2013 season, but wasn't the same, going 3-10 before being benched in favor of Kirk Cousins. He played in nine games in 2014 and didn't see the field at all in 2015. He tried to latch on with the Browns in 2016, but only played in five games and was released. 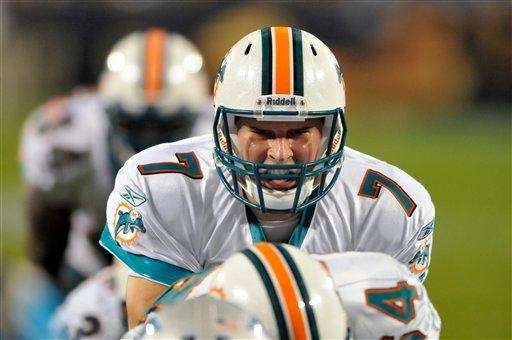 NFL: Tannehill went 7-9 as he started every game as a rookie. He threw for 3,294 yards and 12 touchdowns but also had 13 interceptions. 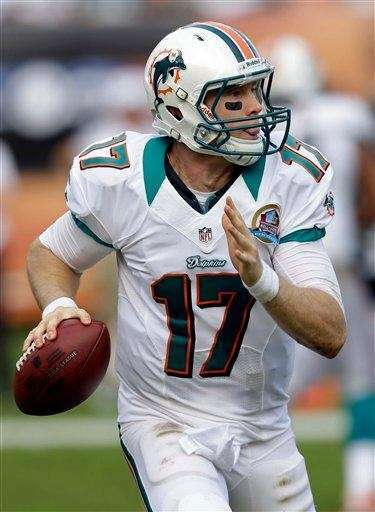 Tannehill improved in 2013, throwing for 3,913 yards, 24 TDs and 17 INTs as the Dolphins went 8-8. He threw for at least 4,000 yards in each of 2014 and 2015, and played in 13 games in 2016 to help the Dolphins reach the playoffs. 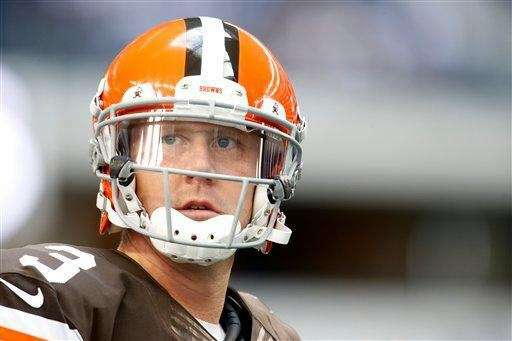 NFL: The Browns took a chance on Weeden, who entered the league as a 28-year-old rookie. He started in all but one game in 2012 and went 5-10. He struggled in 2013, throwing for 1,731 yards, nine TDs and nine INTs in eight games (while going 0-5 in his five starts). He's now a backup for the Houston Texans. NFL: Somebody had to back up Peyton Manning. Osweiler threw a total of 30 passes from 2012-14, then started seven games in 2015 when Manning was sidelined with a foot injury. He threw for 1,967 yards, 10 TDs and six interceptions in relief of Manning, enough to earn him a four-year, $72 million contract from the Texans the following offseason. He didn't live up to his lofty salary, though, getting benched toward the end of the season after throwing 16 interceptions. He was traded to the Browns in a salary-dumping move in March 2017. NFL: The Bills traded back in the first round to get Manuel, which was a bit shocking since many had Geno Smith pegged as the draft's top QB. 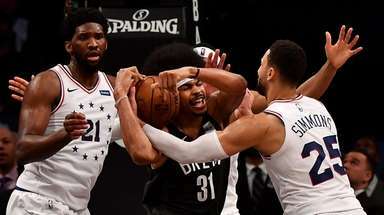 Manuel didn't get too much of a chance in his rookie season to show he was worth the pick -- he missed the final six games of the season due to a sprained knee ligament. Manuel finished his rookie season with 1.972 yards, 11 TDs and 9 INTs. He didn't see the field often after that, appearing in just 18 games over the next three seasons due to ineffectiveness. 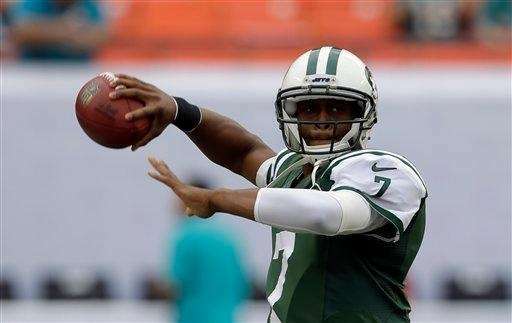 NFL: Smith was thrust into a starting role in Week 1 after Mark Sanchez suffered a season-ending shoulder injury in the preseason. He had his high moments, leading the Jets on several come-from-behind wins. But he also struggled mightily, throwing 21 interceptions against 12 touchdowns. He was expected to take a leap in 2015, but he broke his jaw on a punch from backup defensive end IK Enemkpali and missed the entire season as Ryan Fitzpatrick nearly led the Jets to a playoff berth. Fitzpatrick's struggles in 2016 gave Geno one more shot as the Jets' starter, but he tore his ACL in his only start and missed the rest of the season. 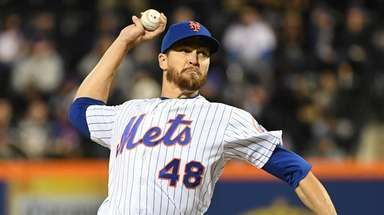 He signed with the Giants as a backup the following offseason. NFL: Bortles has combined for 11,241 yards, 69 touchdowns and 51 interceptions in his first three seasons in the league. The 2012 Heisman Trophy winner was involved in countless off-field incidents that led to the Browns eventually releasing him on March 11, 2016. 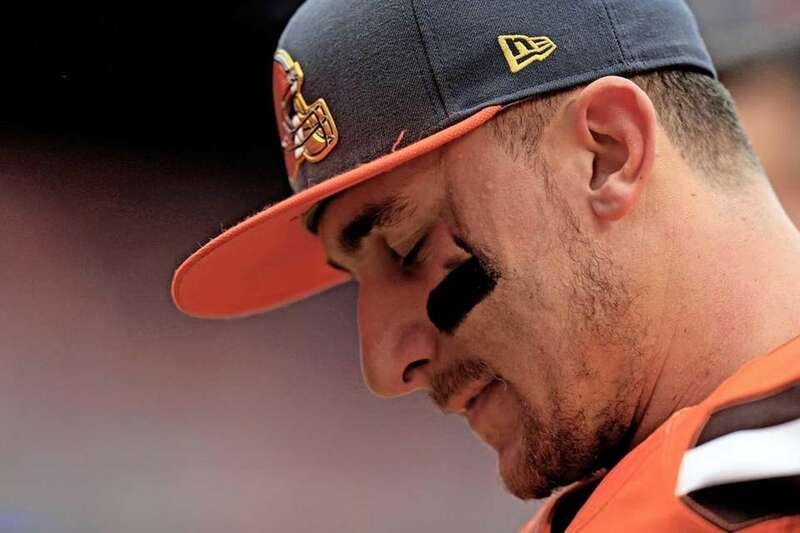 Manziel threw for 1,675 yards, seven touchdowns and seven interceptions in 14 games over two seasons. The future of his NFL career is in doubt after he was indicted in a Dallas domestic violence case. 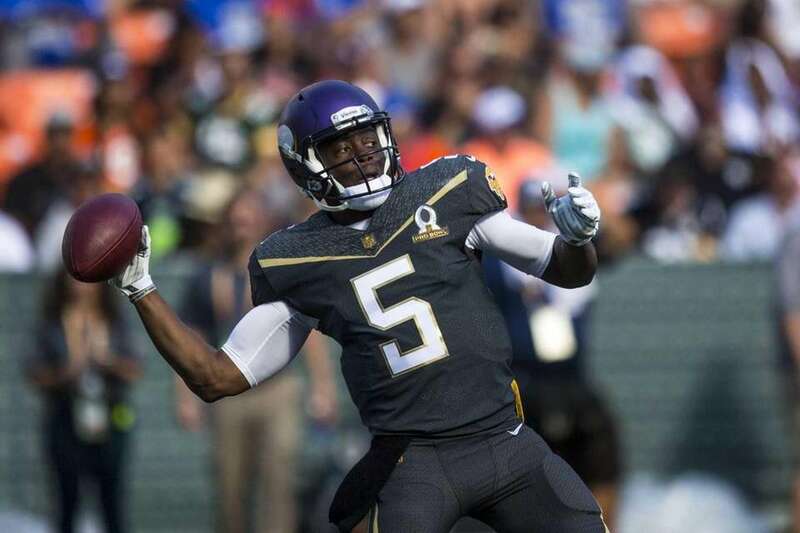 NFL: Bridgewater made the Pro Bowl in just his second season after leading the Vikings to the playoffs for the first time since 2012. He threw for 3,231 yards, 14 touchdowns and nine interceptions in his sophomore season. A devastating knee injury during a training camp drill forced him to miss the entire 2016 season -- and potentially put his career in doubt. NFL: Carr earned himself a spot in the Pro Bowl in his sophomore season after throwing for 3,987 yards, 32 touchdowns and 13 interceptions. 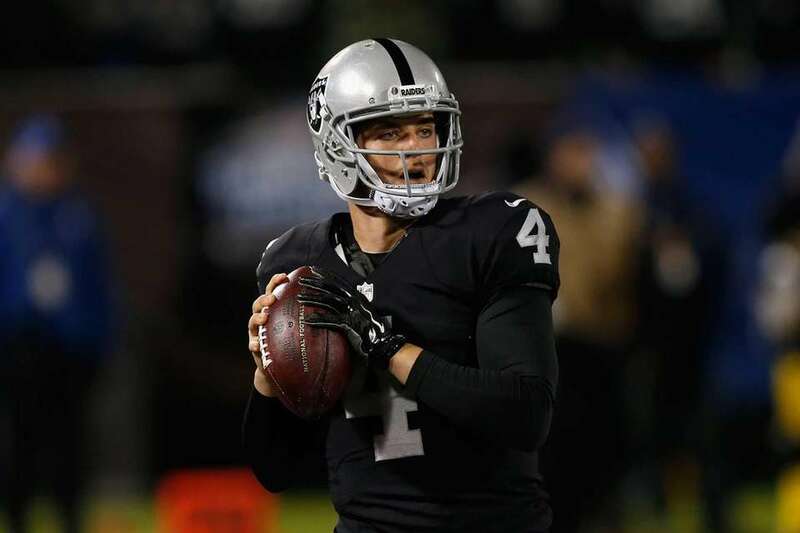 He helped lead the Raiders to a playoff berth in 2016, throwing for 3,937 yards, 28 touchdowns and six interceptions before a broken fibula ended his season in Week 16. NFL: With Tom Brady ahead of him, Garoppolo hasn't played much. In 17 games, he's 63-for-94 with 690 yards and five touchdowns. He did start two games in 2016 while Brady served his Deflategate suspension. NFL: Winston was named to the Pro Bowl as a rookie after throwing for 4,042 yards, 22 touchdowns and 15 interceptions. He threw for 4,090 yards, 28 touchdowns and 18 interceptions in his sophomore season. 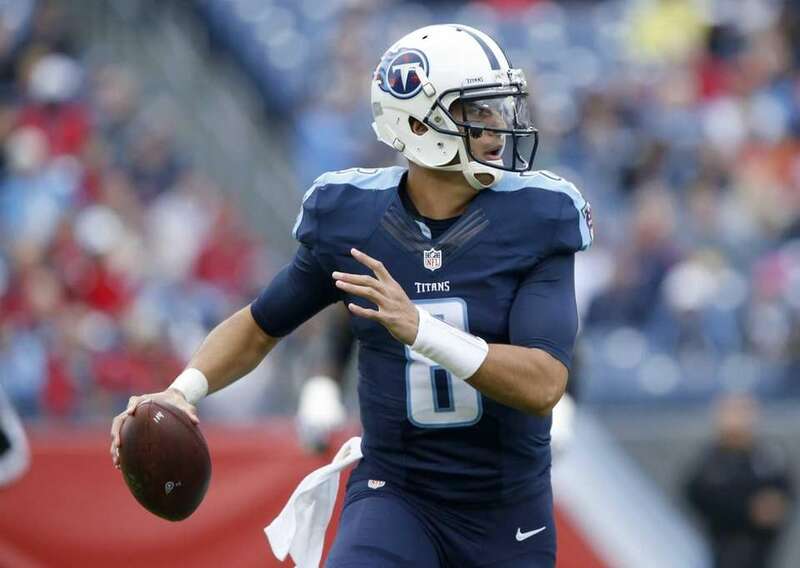 NFL: Mariota was limited to 12 games as a rookie because of a knee injury. He threw for 2,818 yards, 19 touchdowns and 10 interceptions. He took a big step forward in 2016, throwing for 3,426 yards, 26 touchdowns and nine interceptions before fracturing his fibula in Week 16. 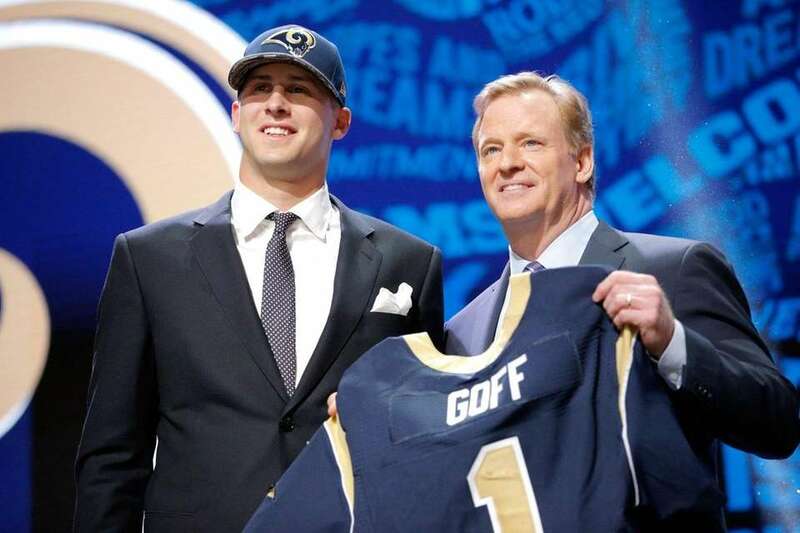 NFL: The Rams traded up with the Tennessee Titans, then took Cal product Goff in their first draft since moving to L.A. Goff didn't start until Week 11 and threw for 1,089 yards, five touchdowns and seven interceptions in his seven starts. NFL: The Eagles moved up days before the draft, trading with the Celveland Browns to take Wentz. He started all 16 games as a rookie, throwing for 3,782 yards, 16 touchdowns and 14 interceptions on 379-of-607 passing. 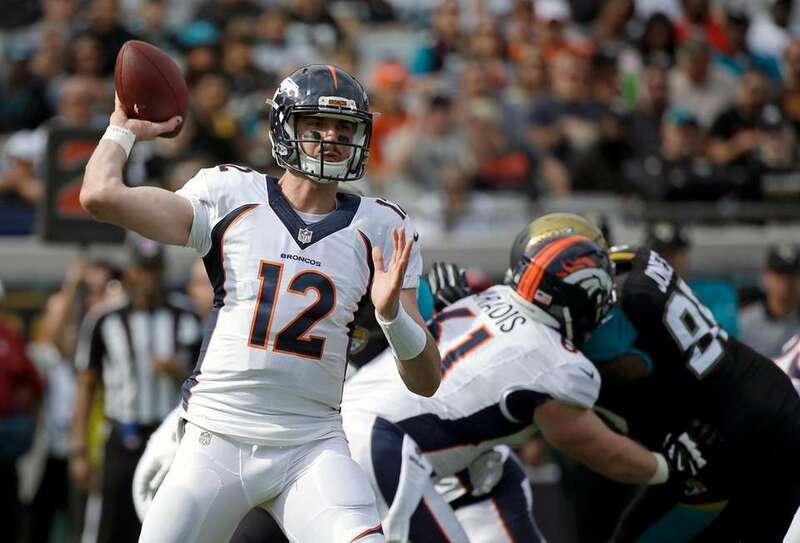 NFL: The Broncos, looking for the heir apparent to Peyton Manning, moved up five spots to take Lynch. He didn't see the field much as a rookie, throwing for 497 yards, two touchdowns and an interception in three games (two starts). 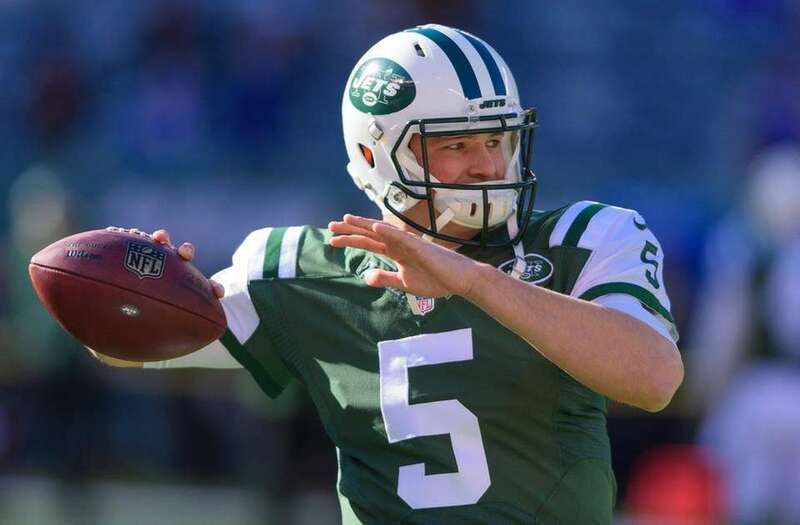 NFL: Hackenberg was inactive for all 16 games of his rookie season. Jets NFL draft history databaseA complete history of the Jets' draft picks dating back to 1960. Giants NFL draft historySort through the Giants' entire NFL draft history. Hits & misses: No. 1 NFL draft picksThe best and worst picks since 1954.